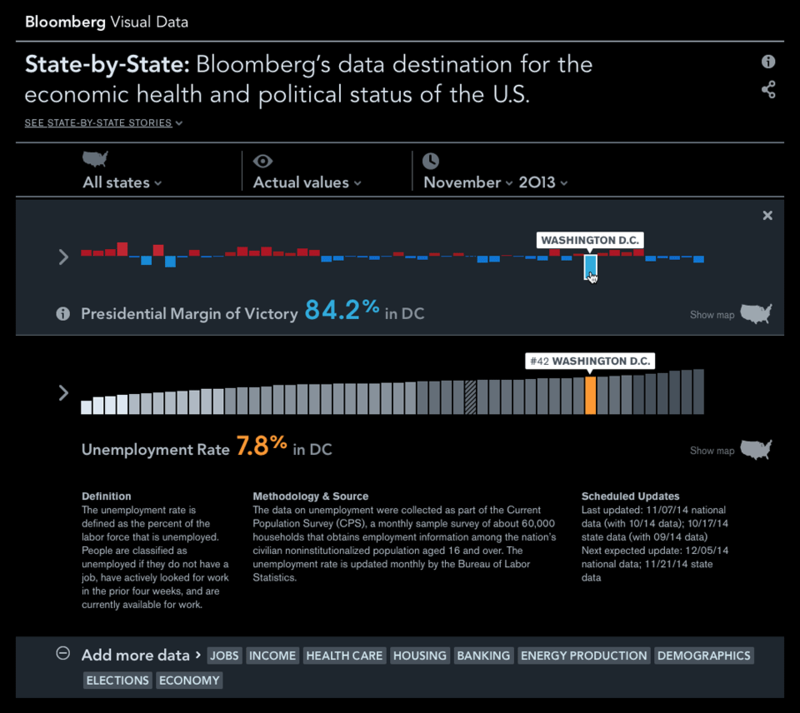 The premier data product from Visual Data, State-by-State was designed to be an online destination for visualizing economic and political data about the United States. 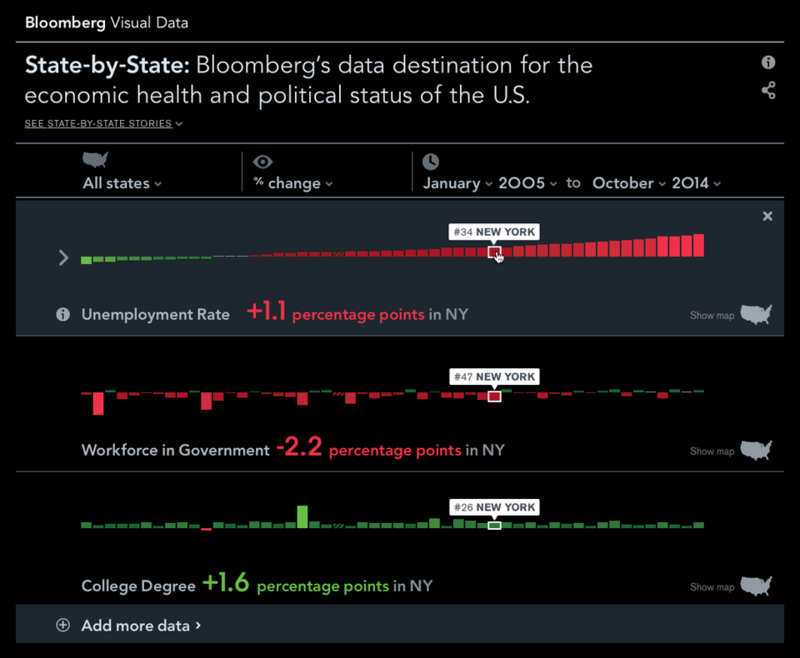 State-by-State allows users to rank any set of states across selected data sets and view trends over time, providing historical data going back to 2000. 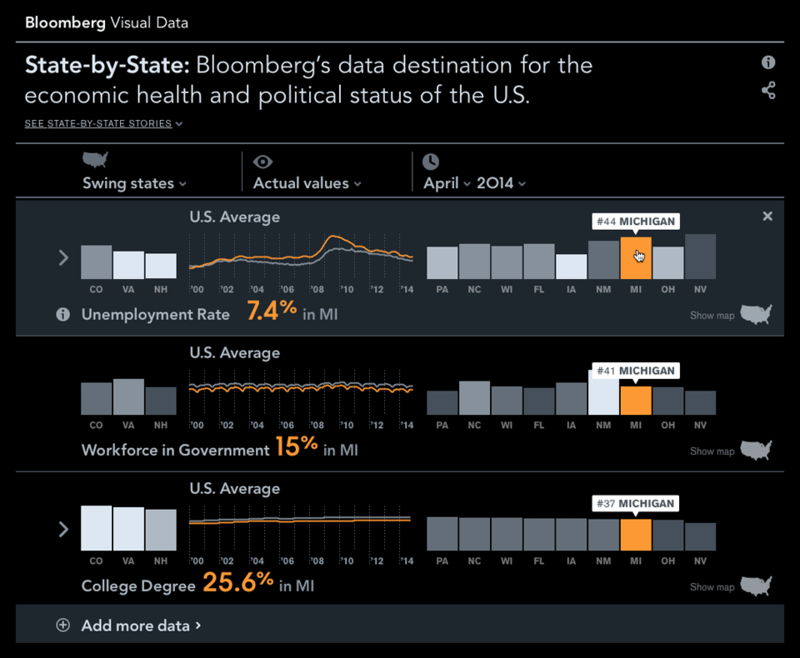 This product automatically updates with over 40 datasets including the latest unemployment numbers from the Bureau of Labor Statistics, general election polling data from Real Clear Politics as well as Bloomberg’s state-level data on healthcare, housing, banking, energy production, demographics, and more. 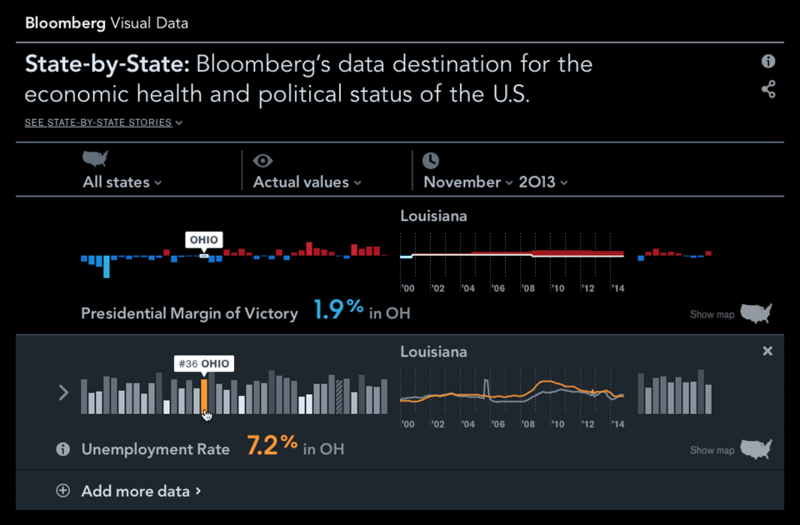 The user can choose their set of states, select their time period, add data sets and sort all chosen sets by one particular indicator. 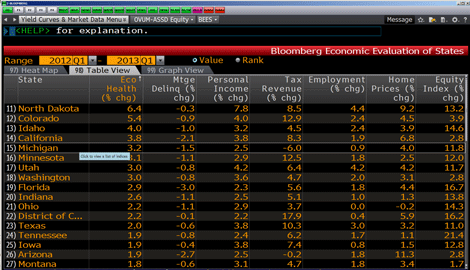 One can switch views between actual values or percent change. 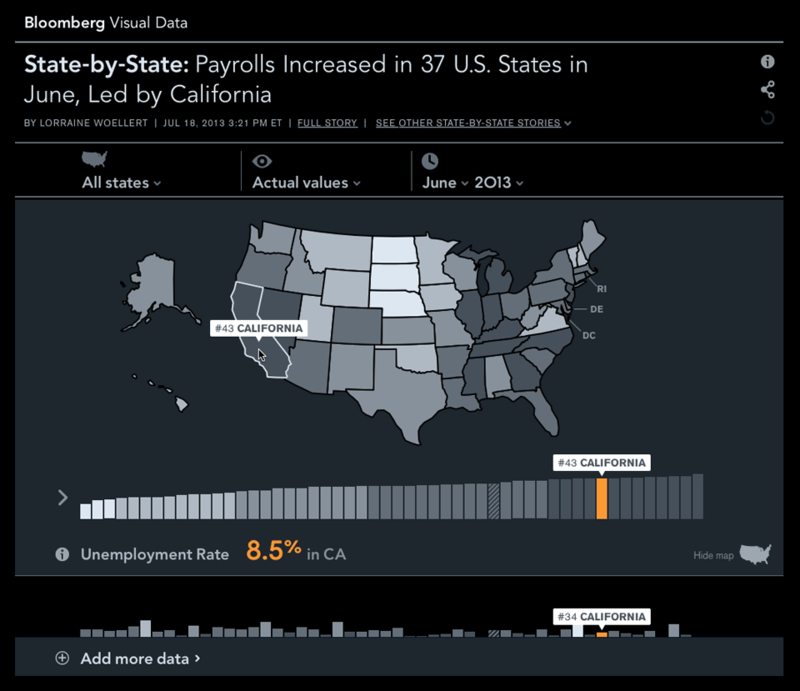 Each custom view within State-by-State generates a unique URL that can be shared publicly or used by Bloomberg journalists to link to or from their news stories. 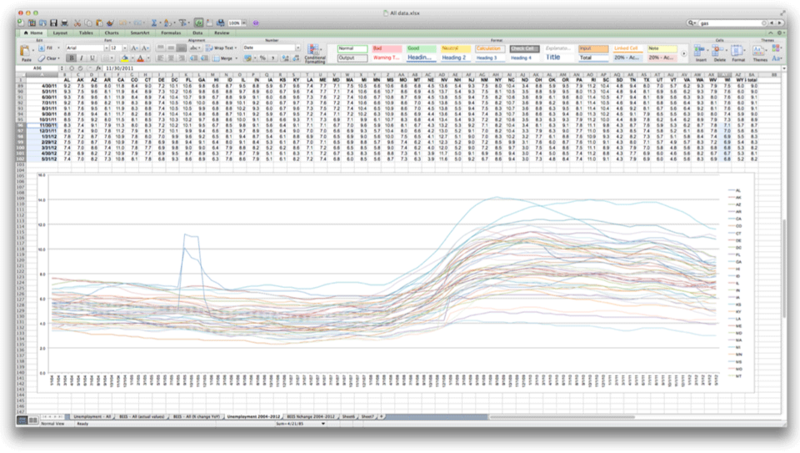 Certain datasets displayed together can reveal some interesting correlations (but not necessarily causations). 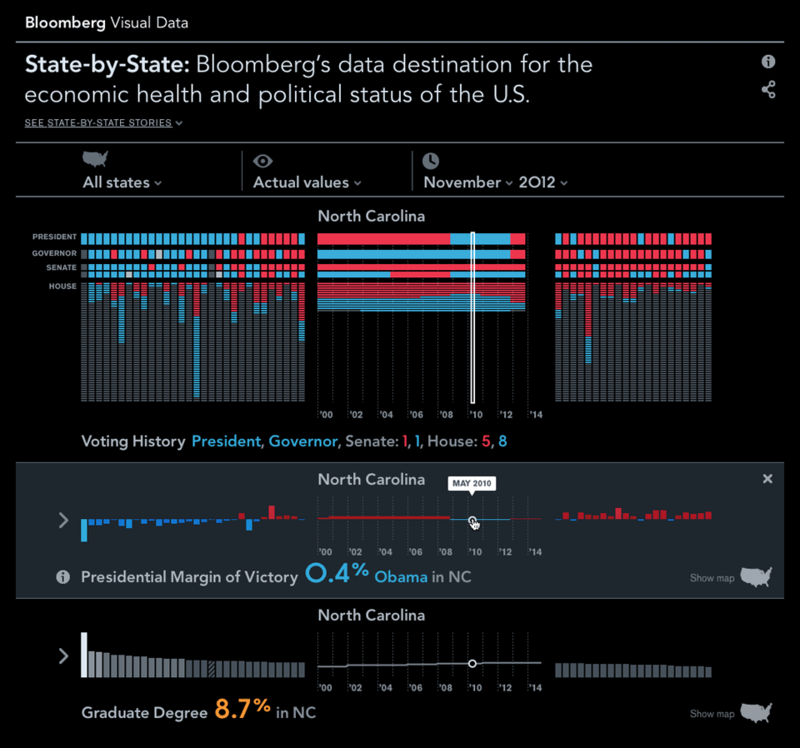 Some of the data used in State-by-State originally lived in the Bloomberg Terminal. 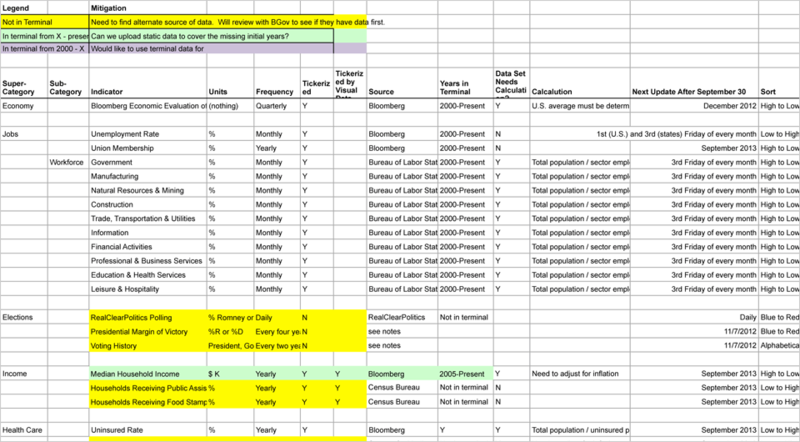 Organization of all of the data categories, indicators, units, update frequencies and sources. 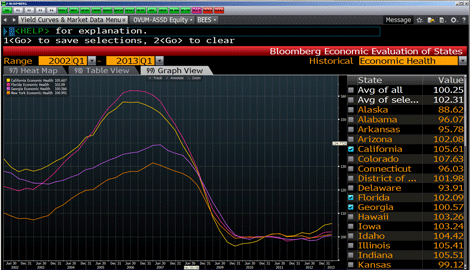 Pulling this data into excel allowed some interesting patterns and anomalies to surface (the spike in this unemployment time series shows Louisiana after Hurricane Katrina).